True growth does not come from simply knowing about Christian topics and carrying out certain religious practices, rather it comes from walking with God, knowing him as a person. Our fellowship with one another is meant to enhance our spiritual growth. And if spiritual growth is based on knowing God personally shouldn't our fellowship be built around that? When we gather around the person of Christ we are forced to know him personally. If you don't know him as a person how can you talk about him as a person, and you must have something to say in the meeting. 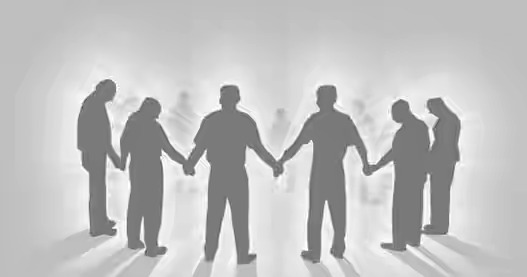 You cannot come empty handed, for the requirement is that each member spend time walking with God and learning his person so that when they gather they can share what they are learning about his personality, help each other understand him better and know him, because knowing him as a person is true spiritual growth. "May be able to comprehend with all saints what is the breadth, and length, and depth, and height; And to know the love of Christ, which passeth knowledge, that ye might be filled with all the fulness of God." (Eph 3:18-19). Our individual perception are often not correct, but when we gather together to comprehend with the saints this beautiful and complex man (Christ) then we would be able to gain more understanding and know Christ. Here we are not studying a topic, we are studying a person, a personality. We are to comprehend and know Christ if we must be filled with the fullness of God, but we cannot comprehend him alone, we must do it with all saints. So our fellowship is about this; you bring what you are learning of him and together we try to comprehend him and know him so that we might be filled with his fullness. You must bring something, you cannot come empty handed. If we come empty handed then fellowship cannot take place, but sadly Christianity have replaced true fellowship so that the members can come empty handed and still have fellowship. We must purge ourselves from all that is not true and stick strictly to true fellowship, this way we would be forced to always bring something. We would be forced to pursue knowing him as a person, and learning something from our daily interactions with him. We would be forced to walk with him and be very conscious of our walk with him so that we would not miss him and what he is doing. The Son is always looking out to see what the Father is doing. We are sons, and as sons we are to look out to see what the Father is doing and then when we meet we discuss the Father together and the things we see Him doing in our lives, in the body and in the world. So we are looking at God, trying to comprehend him together to truly know him for that is where spiritual growth lies. The best way to study a living thing is by watching it live out its life in its natural habitat. If we are to get true knowledge of God we must what him living. Studying theologies of men will not take us very far, we need a firsthand knowledge, something birth out of an intimacy relationship with him. And we need a "church" structure that facilitate this. Our current "church" structure only facilitate ministry and religion, we need true fellowship. We need a meeting that is structure to persuade the saints to pay more attention to their personal walk with him. 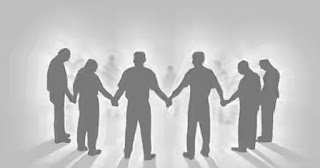 If our fellowship is based on relationship with God then we would be able to achieve true and speedy spiritual growth. Yes, there is so much riches in fellowshiping this way, we would have a generation of Christians who are razor-sharp focused on their personal walk with God and very conscious of Christ and the reality in him. They will have their life centered around Christ and he will become their occupation. When we give ourselves to this we would draw more riches and have a glorious Christianity.